Genius investigator and tech wizard Barbara Gordon takes flight as Batgirl in the TV series DC Super Hero Girls. 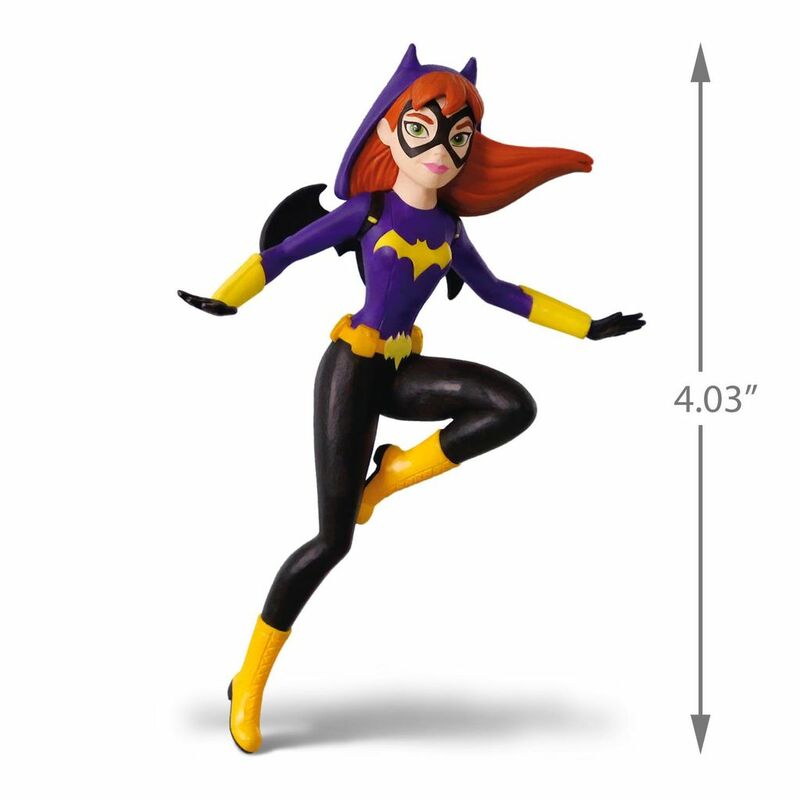 Young fans will love this Christmas tree ornament of the smart and stealthy Super Hero High student in a dynamic pose that features Batgirl's signature color scheme and iconic logo. Plastic Christmas tree ornament is lead-free and measures 2.8" W x 4.03" H x 1.19" D.